A perfect process is - by definition - the ultimate way in which a process can be defined and managed. So you would think that everyone would be striving for the perfect process. Unfortunately, that isn’t always the case. People tend to strive for ‘good enough’ when it comes to many things. That report you are creating could do with a further grammar check, but we won’t do it. It’s good enough. The decorations on the Christmas tree could do with being tidied up and made absolutely symmetrical, but we’ll leave them as they are. They’re good enough. A lot of it is to do with the Pareto rule. The Pareto rule states that 80% of the work is done by 20% of the effort. 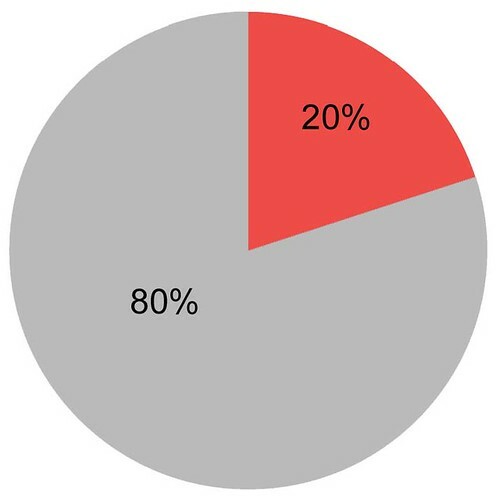 The remaining 20% will take 80% of the time. The same happens with processes. An amount of time and energy can be spent reviewing, revising, improving, and implementing processes, but on further review it is discovered that they are only 80% of the way there. To move the process the remaining 20% will take a disproportionate amount of time and energy, sometimes to the point that it becomes economically unwise to pursue. On a fundamental level the answer is “yes”. If the return on investment of performing the additional 80% the work is less than the benefit of improving the 20% that’s remaining, then ‘good enough’ will suffice. But there are certain points where it becomes less a matter of ROI and more a matter of other things. Let’s take airplane construction, for example: Would you fly on an aircraft that had only had 80% of the testing done on it? Would you trust an airline navigation system that had only had 80% of the coding tested? What about a surgeon who had only done 80% of his training? These are examples of when the 80/20 rule needs to be ignored and 100% of the effort needs to be put in. Can you think of any of your processes where this is the same?